Mantis Tours is a reputable local tour operator that is specialized in Cairo tours. Our tours to Cairo from Eilat departs daily, usually in small groups. So, it is recommended to book your tour in advance. We will pick you up from your accommodation in Eilat (we pick-up from all the hotels in Eilat, from Eilat airport and from Eilat central bus station) at 20:00, and take you to Taba border crossing. Our representative in Eilat will collect the money for the tour and for the border fees and visa, offer you as a gift fruits of the season and a bottle of mineral water, and help you with the border procedures in the Israeli side of the border. Just after crossing the border to Egypt, our Egyptian representative will meet you at the border, help you with the border procedures in the Egyptian side of the border, and take you to the minibus that will transfer you to Cairo overnight. On the way to Cairo, you will get a light dinner, and when you arrive to Cairo in the morning, you will meet your professional Egyptologyst guide and have breakfast at a local restaurant in Cairo. You will visit the Pyramids of Giza and the Sphinx, the Papyrus Factory and the Perfume Museum, have lunch at a local restaurant in Cairo, continue to visit the Egiptian Museum and the famus market Khan El Khalili. On the way back to Eilat, you will get a light dinner, and arrive to Eilat late at night. Our representative in Eilat will wait for you around 02:00am at the Israeli side of the border to take you back to your accommodation, and you will also be given a personalized souvenir as a present. It’s possible to stay overnight at a hostel in Nuweiba before returning back to Eilat for an extra payment in advance notice. 20:00 Pick-up from your accommodation in Eilat (we pick-up from all the hotels in Eilat, from Eilat airport and from Eilat central bus station) and transfer to Taba border crossing. 21:00 Crossing the border at Taba (border control and customs) with the help of our professional crew. * Please note that this process may take some time, so your patience is required and appreciated. 22:00 Transport from the border to Cairo in our newest model air-conditioned minibuses through the Sinai desert. * Dinner will be served along the way (included in the price). 08:00 Arrival to Cairo for a full day tour. 08:30 Breakfast at a local restaurant (included in the price). 10:00 Visit the Pyramids and the Sphinx. 12:00 Visit the Papyrus Factory and the Perfume Museum. 13:00 Lunch at a local restaurant (included in the price). 14:00 Visit the Egyptian Museum. 15:00 Visit the famous market Khan El Khalili. 17:00 Transfer back to Taba border. 02:00 Arrival to Taba border, and crossing the border back to Israel..
02:30 Drop-off back at your accommodation in Eilat (or at Eilat airport). 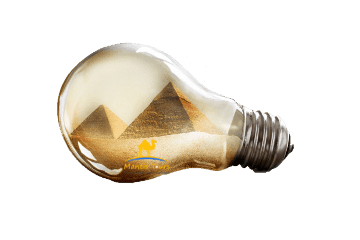 * Free souvenir and Egypt brochure. Note: The schedule is subjected to changes. 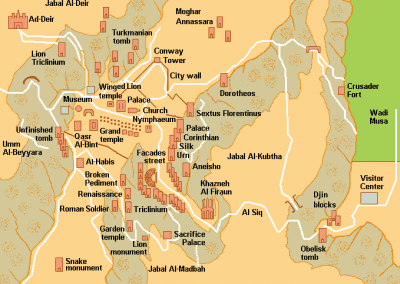 We offer daily Israel Petra Tours – the Red-Rose City – one of the Seven Wonders of the World. 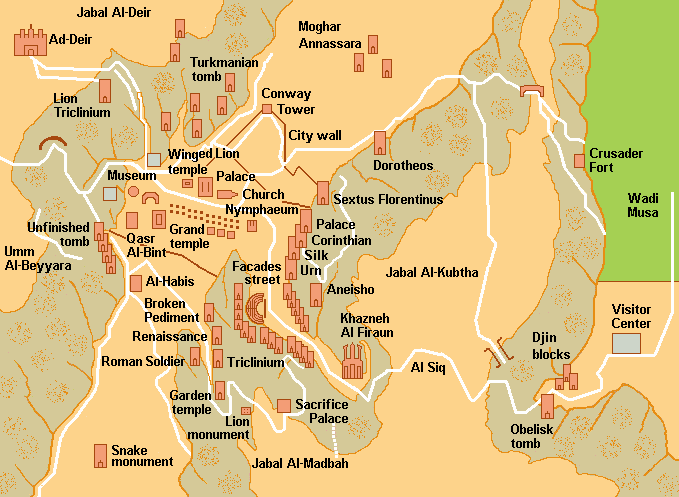 Petra, the lost city of the Nabataeans, has been a UNESCO World Heritage Site since 1985. UNESCO has described Petra as “one of the most precious cultural properties of man’s cultural heritage“. The city of Petra offers many sites for the traveler to explore, like: The Siq (the path to Petra); Al Khazneh (The Treasury); Ad Deir (The Monastery); The Theatre; The Great Temple of Petra; Streets of Facades; The lonely cave; Aaron Tomb; Obelisk Tomb and the Triclinium; The Silk Tomb; The Uneishu Tomb; The Hadrian Gate and the Cardo Maximus; Ancient Roman columns; The Byzantine Church of Petra; Beautiful colorful sandstone rocks formations, and much more. A tour to Petra offered by Mantis Tours is a great opportunity to visit this great wonder of the ancient world, a place that every traveler must visit at least once in his lifetime. We use new model A/C vehicles, best hotels and restaurants, and employ only the best professional tour guides. We guarantee for the best prices for tours to Petra! You do not want to miss this great offer! Please consider our one day private tour to Petra that offers you the same itinerary as the one day group tour to Petra, but with the comfort of a private car and the luxury of a personal guide. Although the Petra Day Trip includes all the main highlights in Petra, if you have enough time, then we recommend you to book our two days tour to Petra, so you will have plenty of time to explore Petra, including the Monastery – the most impressive monument in Petra. We also highly recommend on our best selling tour to Petra – our two days tour to Petra and Wadi Rum. In this Petra Wadi Rum Tours you will have a chance to experience in the local Bedouins lifestyle, enjoy a traditional Bedouin dinner (Zarb) and have a jeep safari in the magnificent landscape of Wadi Rum Nature Reserve. Not far from Eilat there is located another great wonder of the ancient world – the Great Pyramids of Giza. We offer you the opportunity to book with us also tours to Cairo and the Pyramids. Cairo Day Tours is a perfect addition to your Petra Excursion! We also offer tours from Eilat to Jerusalem, Masada and Dead Sea, and also to Timna Park. We very recommend that you stay at least one more day in Eilat, and enjoy the Attractions in Eilat that we offer, like trying an introductory scuba diving in the Corals Reef of Eilat, join a cruise on a yacht or on a glass-bottom boat in the Red Sea, have ATV Trips in Eilat Mountains, and more. Pick-up from your accommodation, and drop-off back at your accommodation. Meeting and assisting at the border crossing in both directions. Light dinner on the way to Cairo. Breakfast at a local authentic restaurant in Cairo. Lunch at a local authentic restaurant in Cairo. Free souvenir and Egypt brochure. $85 for border fees paid by cash only. $60 for visa to Egypt paid by cash only. You can pay for the tour in USD, NIS and Euros. The price of the tour is for USD cash. For credit card (debit by local currency), there is 5.5% commission. You need to bring a valid passport on the day of the tour. Please make sure that your passport is in good condition. If your passport is torn or damaged, then you may not be able to pass the border control, and you will not get a refund. 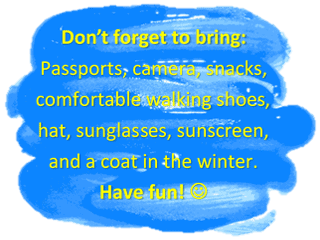 Do not forget to bring comfortable walking shoes, hat, sunglasses, sunscreen, mineral water, light clothes in the summer and warm clothes in the winter. You can cancel your tour 31 days in advance with no cancellation fees. For 15-30 days in advance, there is 10% cancellation fee. For 8-14 days in advance, there is 25% cancellation fee. For 2-7 days in advance, there is 50% cancellation fee. We will charge you full price for cancellation less than 48 hours from departure time or no-show. Don’t compare 🍏 apples with 🍐 pears! Our Cairo trips are the best value available, based on our great prices without ever compromising on quality.